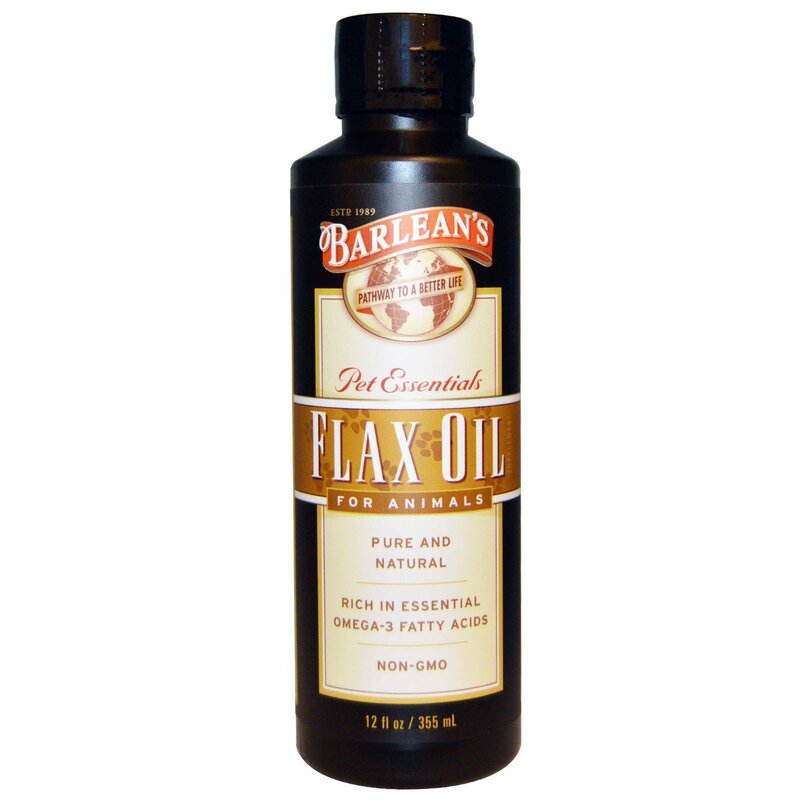 Flax Oil is a rich source of Omega-3 (alpha-linolenic acid) and has been discovered to be "essential" to the health of animals and humans. Barlean's has taken the extra steps necessary to preserve the integrity of flaxseed oil, providing your pets with the valuable Omega-3 fatty acids they require for optimal health. 25 lbs up - 1 tsp for every 25 lbs of body weight. 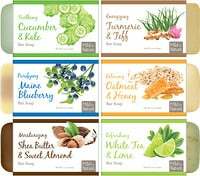 1 Tbsp for every 100 lbs of body weight. 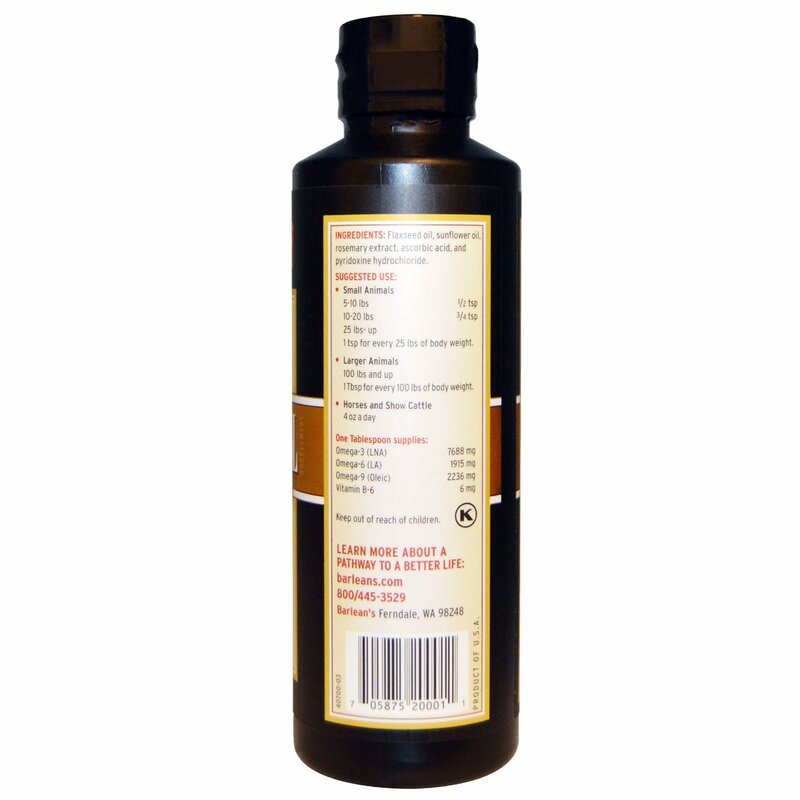 Flaxseed oil, sunflower oil, rosemary extract, ascorbic acid, and pyridoxine hydrochloride.